The MT5300L Series is Meiji Techno America’s Research Grade upright Trinocular Biological Brightfield Compound LED Microscope system. Meiji Techno’s laboratory grade upright microscope line is the new and cost-effective MT5300L Series Biological Microscopes. 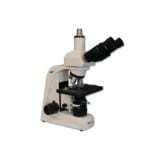 The use of microscopes in laboratories, hospitals or research institutions covers a very wide spectrum of microscope applications, from the identification of fungal mycelium in a clinic to the screening of cervical preparations for premalignant change in cytopathology, and the identification of acid alcohol- fast bacilli in microbiology. Such applications make use of different microscopy techniques including conventional brightfield (transmitted light), phase contrast and fluorescence techniques. Illumination has been provided by a range of conventional discharge or incandescent lamps. They can be classified as halogen. Meiji Techno America would like to introduce the addition of LED ( light-emitting diode illumination in our MT5300L models. LED benefits include safety, environmental and reduced operating costs of new LED- based products that Meiji Techno America now offers. LED outfitted microscopes can offer a stable color temperature with time. The MT5300L Series employs all new and improved Plan Semi Apochromat optics. Smooth operating ball bearing quintuple nosepiece provides effortless objective changes. Meiji Techno’s ICOS™ (Infinity Corrected Optical System) makes the study of mounted specimens fast and easy while delivering an excellent cost-to-performance ratio. Ergonomically designed, precisely manufactured in Japan and simple to use stage and coarse and fine controls, to meet the demands of researchers and clinical laboratory specialists. Adjustable, smooth operating, field iris in a new and improved enclosed sealed hardshell plastic design. 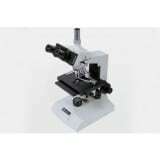 Meiji Techno has reviewed all aspects of microscope usability to develop the MT5300L trinocular microscope, which provides functionality with operational ease. It has a larger 30.0 mm I.D. eyetube and a larger stage than the MT4000 Series. Viewing high quality images, sample changing and photomicroscopy are all conducted with ergonomics in mind. High Intensity Halogen illumination shows true to life color quality. The MT5300L is designed for Brightfield observation and rugged quality as you would expect from a Japanese made microscope. Various imaging techniques are available with different models in this series. MT5300L Trinocular Brightfield Biological LED Laboratory Series is one of our most rugged fully equipped microscope systems from Japan . The main benefits of LED illumination are efficiency and long service life. Microscopes with LED illumination do not need to be replaced vs. halogen equipped microscopes, there is less microscope downtime – which is a huge concern in a manufacturing environment. Over time there is a significant reduction in energy consumption. We understand that a constant color temperature is highly important for documentation, so we only use a reputable LED manufacturer as our supplier to ensure high quality LED bulbs. A modular design facilitates attachment of a variety of accessories such as CMOS/CCD HDMI video cameras, and all types of 35mm Digital SLR Cameras in the market today can be attached easily with the proper adapter set. To meet the demands of researchers and clinical laboratory specialists. When the 80/20 beamsplitter of the trinocular head is engaged for photo work, 80% of the image is directed to the phototube and 20% to the eyetube. The MT5300L LED Trinocular Series microscopes feature a new computer engineered rigid frame that incorporates low positioned coaxial coarse/fine focus controls and ergonomic stage design for maximum efficiency and comfort while providing and extremely stable platform. The cast aluminum alloy metal stand has a chemical resistant finish and is the most rugged, durable finish in the market today. Equipped tension adjustment controls and a built in stage stop lever to protect the specimen and objectives from accidental damage during use. The MT5300L Series offers an outstanding range of features and optical performance with an emphasis on all newly engineered high performance Plan Semi Apo optics based on Meiji Techno’s ICOS™ Optical System (Infinity Corrected Optical System F=200mm) The new optics, provide exceptionally bright, crisp images with good color rendition and superior flat fields of view. The MT5300L Trinocular Series Microscopes offer crisp, distortion free, high resolution images in multiple modes of operation, Contrast methods available include: Brightfield and Phase Contrast. The MT5300L LED Trinocular Biological Brightfield Microscope is a versatile and modular system designed to accept a wide variety of optional accessories and is backed by Meiji Techno’s Limited Lifetime Warranty. The Meiji Techno ML5500 Trinocular Brightfield Biological Laboratory Series is one of our most rugged fully equipped microscope systems from Japan with a Flat-top Mechanical Stage and reverse facing nosepiece. It offers many high performance features and a stable rectangular base for stability. High resolution DIN Standard Planachromat objectives offer crisp, clear, high contrast images and are offered as part of the standard package. A built in integrated Koehler illuminator with a field iris and High Intensity, 12V 50W Halogen lamp and variable intensity control is provided standard equipment to complement the Planachromat optics. A green monitor lamp is lit to indicate that the lamp is on for easy on/off recognition in any laboratory setting. The low voltage, high intensity, pre-centered halogen lamp provides high level illumination can be adjusted to maximize the evenness of the bulb illumination and is readily accessible for a quick bulb replacement. The ML5500 Series also features a specially designed Achromatic N.A. 1.25 condenser with iris diaphragm and filter carrier. The die cast metal stand has a chemical resistant finish and is the most rugged, durable finish in the market today. Equipped with low position factory calibrated coaxial coarse and fine focus controls, tension adjustment and a built in stage stop lever to protect the specimen and objectives from accidental damage during use. The ML5500 Series Laboratory Biological Microscope is a versatile and modular system designed to accept a wide variety of optional accessories and is backed by Meiji Techno’s Limited Lifetime Warranty. • ML5500: The ML5500 is a Brightfield Trinocular Laboratory Compound microscope with High Intensity Koehler Halogen, 12V 50W illumination for applications that requires more light. Equipped with reverse facing quadruple ball bearing nosepiece. High resolution DIN Standard Plan objectives offer crisp, clear, high contrast images and are offered as part of the standard package. A built in integrated Koehler illuminator with a field iris and 12V 50W Halogen lamp and variable intensity control is provided standard equipment to complement the Planachromat optics. The high intensity, pre-centered halogen lamp provides high level illumination can be adjusted to maximize the evenness of the bulb illumination and is readily accessible for a quick bulb replacement. Flat-Top Mechanical stage with 171mm and 140mm rectangular stage with movement of 78mm (X) x 52mm (Y) with drop down Ergonomically placed low positioned coaxial controls and a detachable specimen guide. • MA603: Inclined Trinocular head Inclined at 30°, 360° rotatable, dual graduated diopter eyetubes with interpupillary adjustments 52mm to 72mm, has a sliding beam splitter that directs 100% of the light to the eyepieces or 80% to the camera and 20% to the eyepieces. Paired DIN KHW10x with 20mm field of view. Variable-intensity Koehler illumination for apertures up to 1.25. Available in 6V 30W (built-in) or 12V 50W (attached lamp house) models. The Meiji Techno ML5300 Trinocular Brightfield Biological Laboratory Series is one of our most rugged fully equipped microscope systems from Japan with a Flat-top Mechanical Stage and reverse facing nosepiece. It offers many high performance features and a stable rectangular base for stability. High resolution DIN Standard Planachromat objectives offer crisp, clear, high contrast images and are offered as part of the standard package. A built in integrated Koehler illuminator with a field iris and 6V 30W Halogen lamp and variable intensity control is provided standard equipment to complement the Planachromat optics. A green monitor lamp is lit to indicate that the lamp is on for easy on/off recognition in any laboratory setting. The low voltage, high intensity, pre-centered halogen lamp provides high level illumination can be adjusted to maximize the evenness of the bulb illumination and is readily accessible for a quick bulb replacement. The ML5300 Series also features a specially designed Achromatic N.A. 1.25 condenser with iris diaphragm and filter carrier. The die cast metal stand has a chemical resistant finish and is the most rugged, durable finish in the market today. Equipped with low position factory calibrated coaxial coarse and fine focus controls, tension adjustment and a built in stage stop lever to protect the specimen and objectives from accidental damage during use. The ML5300 Series Laboratory Biological Microscope is a versatile and modular system designed to accept a wide variety of optional accessories and is backed by Meiji Techno’s Limited Lifetime Warranty. 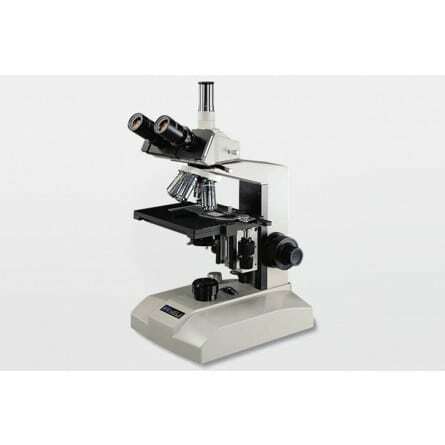 • ML5300: The ML5300 is a Brightfield Trinocular Laboratory Compound microscope with Koehler Halogen 6V 30W illumination with reverse facing quadruple ball bearing nosepiece and auto voltage sensing power supply. High resolution DIN Standard Plan objectives offer crisp, clear, high contrast images and are offered as part of the standard package. A built in integrated Koehler illuminator with a field iris and 6V 30W Halogen lamp and variable intensity control is provided standard equipment to complement the Planachromat optics. The low voltage, high intensity, pre-centered halogen lamp provides high level illumination can be adjusted to maximize the evenness of the bulb illumination and is readily accessible for a quick bulb replacement. Flat-Top Mechanical stage with 171mm and 140mm rectangular stage with movement of 78mm (X) x 52mm (Y) with drop down Ergonomically placed low positioned coaxial controls and a detachable specimen guide. The Meiji Techno ML5150 Trinocular Brightfield Biological Laboratory Series is one of our most rugged fully equipped microscope systems from Japan with a Flat-top Mechanical Stage and a reverse facing nosepiece. It offers many high performance features and a stable rectangular base for stability. High resolution DIN Standard BF Semi Planachromat and Planachromat objectives offer crisp, clear, high contrast images and are offered as part of the standard package. A built in integrated Koehler illuminator with a field iris and 6V 30W Halogen lamp and variable intensity control is provided standard equipment to complement the BF Semi Planachromat and Planachromat optics. A green monitor lamp is lit to indicate that the lamp is on for easy on/off recognition in any laboratory setting. The low voltage, high intensity, pre-centered halogen lamp provides high level illumination can be adjusted to maximize the evenness of the bulb illumination and is readily accessible for a quick bulb replacement. The ML5150 Series also features a specially designed Achromatic N.A. 1.25 condenser with iris diaphragm and filter carrier. The die cast metal stand has a chemical resistant finish and is the most rugged, durable finish in the market today. Equipped with low position factory calibrated coaxial coarse and fine focus controls, tension adjustment and a built in stage stop lever to protect the specimen and objectives from accidental damage during use. The ML5150 Series Laboratory Biological Microscope is a versatile and modular system designed to accept a wide variety of optional accessories and is backed by Meiji Techno’s Limited Lifetime Warranty. • ML5150: The ML5150 is a Brightfield Trinocular Laboratory Compound microscope with Koehler Halogen 6V 30W illumination with a reverse facing quadruple ball bearing nosepiece and auto voltage sensing power supply. High resolution DIN Standard BF Semi Planachromat and Planachromat objectives offer crisp, clear, high contrast images and are offered as part of the standard package. A built in integrated Koehler illuminator with a field iris and 6V 30W Halogen lamp and variable intensity control is provided standard equipment to complement the BF Semi Planachromat and Planachromat optics. The low voltage, high intensity, pre-centered halogen lamp provides high level illumination can be adjusted to maximize the evenness of the bulb illumination and is readily accessible for a quick bulb replacement. Flat-Top Mechanical stage with 171mm and 140mm rectangular stage with movement of 78mm (X) x 52mm (Y) with drop down Ergonomically placed low positioned coaxial controls and a detachable specimen guide. The Meiji Techno ML5000 Binocular Brightfield Biological Laboratory Series is one of our most rugged fully equipped microscope systems from Japan with a Flat-top Mechanical Stage and a reverse facing nosepiece. It offers many high performance features and a stable rectangular base for stability. High resolution DIN Standard SM Plan objectives offer crisp, clear, high contrast images and are offered as part of the standard package. A built in integrated Koehler illuminator with a field iris and 6V 30W Halogen lamp and variable intensity control is provided standard equipment to complement the SM PLAN optics. A green monitor lamp is lit to indicate that the lamp is on for easy on/off recognition in any laboratory setting. The low voltage, high intensity, pre-centered halogen lamp provides high level illumination can be adjusted to maximize the evenness of the bulb illumination and is readily accessible for a quick bulb replacement. The ML5000 Series also features a specially designed Achromatic N.A. 1.25 condenser with iris diaphragm and filter carrier. The die cast metal stand has a chemical resistant finish and is the most rugged, durable finish in the market today. Equipped with low position factory calibrated coaxial coarse and fine focus controls, tension adjustment and a built in stage stop lever to protect the specimen and objectives from accidental damage during use. The ML5000 Series Laboratory Biological Microscope is a versatile and modular system designed to accept a wide variety of optional accessories and is backed by Meiji Techno’s Limited Lifetime Warranty. • ML5100: The ML5100 is a Brightfield Trinocular Laboratory Compound microscope with Koehler Halogen 6V 30W illumination with a reverse facing quadruple ball bearing nosepiece and auto voltage sensing power supply. High resolution DIN Standard SM Plan objectives offer crisp, clear, high contrast images and are offered as part of the standard package. A built in integrated Koehler illuminator with a field iris and 6V 30W Halogen lamp and variable intensity control is provided standard equipment to complement the SM PLAN optics. The low voltage, high intensity, pre-centered halogen lamp provides high level illumination can be adjusted to maximize the evenness of the bulb illumination and is readily accessible for a quick bulb replacement. Flat-Top Mechanical stage with 171mm and 140mm rectangular stage with movement of 78mm (X) x 52mm (Y) with drop down Ergonomically placed low positioned coaxial controls and a detachable specimen guide. The Meiji Techno ML2700 Trinocular Brightfield Biological Laboratory Series is one of our most rugged fully equipped microscope systems from Japan with a Flat-top Mechanical Stage and forward facing nosepiece. It offers many high performance features and a stable rectangular base for stability. High resolution DIN Standard Planachromat objectives offer crisp, clear, high contrast images and are offered as part of the standard package. A built in integrated Koehler illuminator with a field iris and 6V 30W Halogen lamp and variable intensity control is provided standard equipment to complement the Planachromat optics. A green monitor lamp is lit to indicate that the lamp is on for easy on/off recognition in any laboratory setting. The low voltage, high intensity, pre-centered halogen lamp provides high level illumination can be adjusted to maximize the evenness of the bulb illumination and is readily accessible for a quick bulb replacement. The ML2600 Series also features a specially designed Achromatic N.A. 1.25 condenser with iris diaphragm and filter carrier. The die cast metal stand has a chemical resistant finish and is the most rugged, durable finish in the market today. Equipped with low position factory calibrated coaxial coarse and fine focus controls, tension adjustment and a built in stage stop lever to protect the specimen and objectives from accidental damage during use. The ML2600 Series Laboratory Biological Microscope is a versatile and modular system designed to accept a wide variety of optional accessories and is backed by Meiji Techno’s Limited Lifetime Warranty. 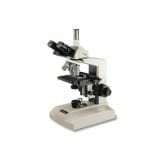 • ML2700: The ML2700 is a Brightfield Trinocular Laboratory Compound microscope with Koehler Halogen 6V 30W illumination with forward facing quadruple ball bearing nosepiece. High resolution DIN Standard Plan objectives offer crisp, clear, high contrast images and are offered as part of the standard package. A built in integrated Koehler illuminator with a field iris and 6V 30W Halogen lamp and variable intensity control is provided standard equipment to complement the Planachromat optics. The low voltage, high intensity, pre-centered halogen lamp provides high level illumination can be adjusted to maximize the evenness of the bulb illumination and is readily accessible for a quick bulb replacement. Flat-Top Mechanical stage with 171mm and 140mm rectangular stage with movement of 78mm (X) x 52mm (Y) with drop down Ergonomically placed low positioned coaxial controls and a detachable specimen guide. The MT5300H Series is Meiji Techno America’s Research Grade upright Trinocular Biological Brightfield Compound Halogen Microscope system. Meiji Techno’s laboratory grade upright microscope line is the new and cost-effective MT5300H Series Biological Microscopes. The MT5300H Series employs all new and improved Plan Semi Apochromat optics. Smooth operating ball bearing quintuple nosepiece provides effortless objective changes. Meiji Techno’s ICOS™ (Infinity Corrected Optical System) makes the study of mounted specimens fast and easy while delivering an excellent cost-to-performance ratio. Ergonomically designed, precisely manufactured in Japan and simple to use stage and coarse and fine controls, to meet the demands of researchers and clinical laboratory specialists. Adjustable, smooth operating, field iris in a new and improved enclosed sealed hardshell plastic design. Meiji Techno has reviewed all aspects of microscope usability to develop the MT5300H microscope, which provides functionality with operational ease. It has a larger 30.0 mm I.D. eyetube and a larger stage than the MT4000 Series. Viewing high quality images, sample changing and photomicroscopy are all conducted with ergonomics in mind. High Intensity Halogen illumination shows true to life color quality. The MT5300H is designed for Brightfield observation and rugged quality as you would expect from a Japanese made microscope. Various imaging techniques are available with different models in this series. MT5300H Trinocular Brightfield Biological Halogen Laboratory Series is one of our most rugged fully equipped microscope systems from Japan . A modular design facilitates attachment of a variety of accessories such as CMOS/CCD HDMI video cameras, and all types of 35mm Digital SLR Cameras in the market today can be attached easily with the proper adapter set. To meet the demands of researchers and clinical laboratory specialists. When the 80/20 beamsplitter of the trinocular head is engaged for photo work, 80% of the image is directed to the phototube and 20% to the eyetube. The MT5300H Series microscopes feature a new computer engineered rigid frame that incorporates low positioned coaxial coarse/fine focus controls and ergonomic stage design for maximum efficiency and comfort while providing and extremely stable platform. The cast aluminum alloy metal stand has a chemical resistant finish and is the most rugged, durable finish in the market today. Equipped tension adjustment controls and a built in stage stop lever to protect the specimen and objectives from accidental damage during use. The MT5300H Series offers an outstanding range of features and optical performance with an emphasis on all newly engineered high performance Plan Semi Apo optics based on Meiji Techno’s ICOS™ Optical System (Infinity Corrected Optical System F=200mm) The new optics, provide exceptionally bright, crisp images with good color rendition and superior flat fields of view. The MT5300H Trinocular Series Microscopes offer crisp, distortion free, high resolution images in multiple modes of operation, Contrast methods available include: Brightfield and Phase Contrast. The MT5300H Trinocular Biological Microscope is a versatile and modular system designed to accept a wide variety of optional accessories and is backed by Meiji Techno’s Limited Lifetime Warranty. MICROSCOPE CONDENSER – CENTRABLE ABBE CONDENSER WITH A HIGH N.A. AND BUILT IN IRIS DIAPHRAGM WITH A DOVE-TAIL MOUNT AND LOCKING SCREW.